Following the absurdly amusing Follow That Dream, Presley starred in Kid Galahad, a remake of the 1937 film that starred Edward G. Robinson, Humphrey Bogart, and Bette Davis. 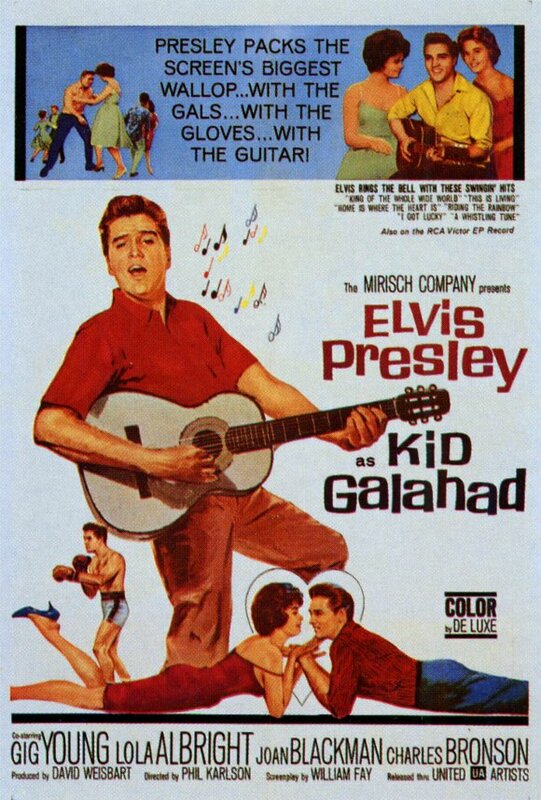 Although it follows the same pattern of many previous Elvis films, Kid Galahad stands out as one of Presley’s better performances. The sexualization of the protagonists is the most basic aspect of any Elvis movie. We anticipate it. In order for these movies to appeal to their target audience in 1962 (teenagers), Presley is always wildly sexualized. This is blatantly obvious and constant in the musical numbers in Jailhouse Rock or Blue Hawaii. But in Kid Galahad, it is limited to just one number: “I Got Lucky” Walter and Rose join a group at a fair. They sing. They dance. In multiple shots, Blackman’s head is cut out of the frame and we see just her torso as she dances. If this was a post about any other star, I could easily launch into a tirade about the differences between the sexualization of the female and male forms. What makes Elvis Presley’s film different is that this matters less. His body is put on display as much as, if not more, than his female co-stars. After all he is the attraction and his co-star is not. 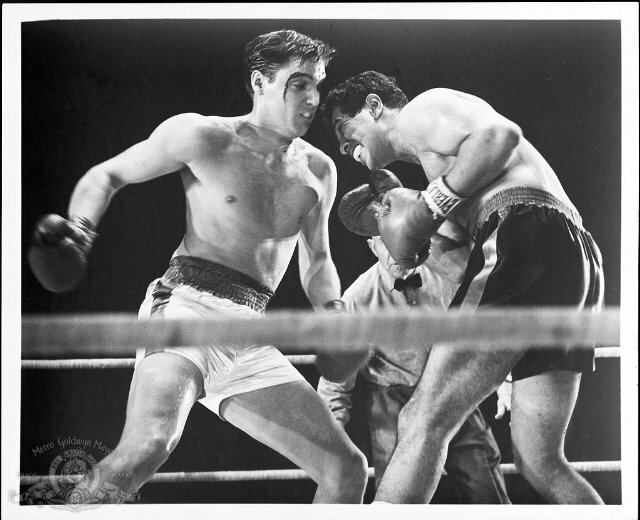 Despite how Kid Galahad is very much a typical Elvis movie, this is still one of Presley’s better performances. As it finished, I was reminded once again that when Presley was allowed to act instead of just swivel his hips, he could actually perform.